Book now and get 30% off room rates! We had to show you all our appreciation with these special rates! Promotion Ended August 31st 2017. 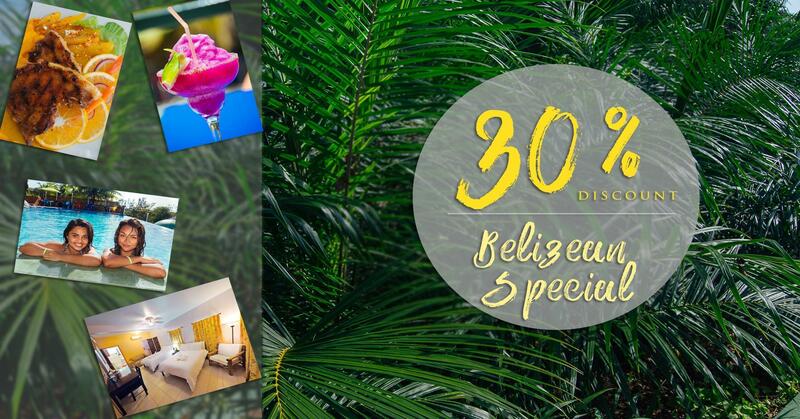 This promotional discount is shareable with Belizean family and friends. This offer is not transferable to International Family or friends visiting Belize.